September was a big month for podcasting (and also seen as the 10-year anniversary). 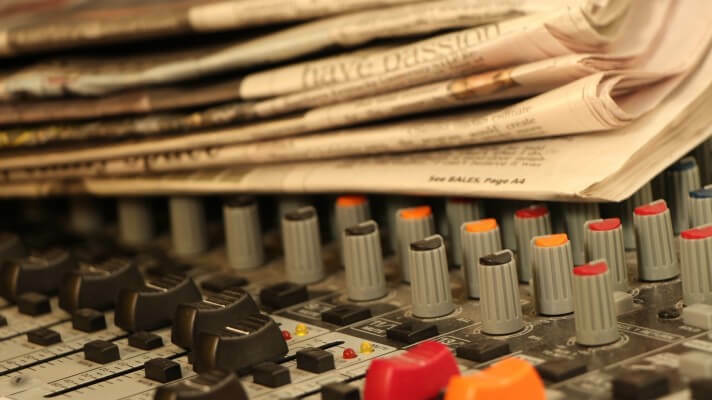 Here are the nine podcasting news items you should not have missed! 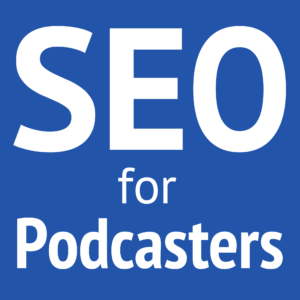 Most podcasters prefer to use WordPress to manage their website platform, and for many great reasons. On September 4, WordPress 4.0 was released. Don't expect a “major” update because of the jump from 3.x to 4.x. Instead, this is another incremental “0.1” update from 3.9 to 4.0. Among many bug-fixes and security updates, here are the most notable four updates in WordPress 4.0. Scrolling page/post editor—The post content toolbar (for formatting, links, and more) now scrolls with you as you scroll down your content. This makes editing longer pages and posts much easier than before! No more double-scrolling nightmares! Multimedia embed preview—WordPress could already automatically embed certain media (like a YouTube video) simply by pasting the video URL into its own plain-text paragraph. WordPress 4.0 will now preview the embed in your editor, so you can see how the embed fits in with your content. Better plugin installation workflow—Picking the right plugins is much easier with WordPress 4.0. You can now see more information when you search and view the details of a plugin. No more visiting WordPress.org to get the details! Easier media library management—WordPress 4.0 replaced the list view of media with a more attractive grid view and better media details editing. Todd Cochrane has single-handedly managed the International Podcast Awards for nine years—and he has done a great job! Now, he's passing it on to New Media Expo (NMX). This is a great move for the Podcast Awards, as it means they will get a lot more attention from traditional media personalities already attending National Association of Broadcasters (NAB). Apple's larger iPhones—the 6 and 6 Plus—launched and iOS 8 became available for all iOS devices released within the last few years. The biggest change this brings to podcasting is that Apple now includes the Podcasts app for iOS as a default, preinstalled, and unremovable app. It will show up on all new iOS 8 devices, as well as be added to any device updated to iOS 8. This will make podcasts more prominent and accessible to 500+ million iOS users. 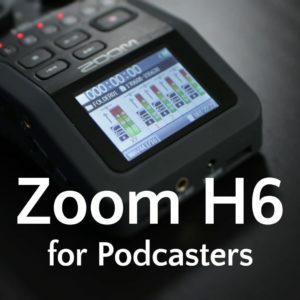 If nothing else, this will help users become more familiar and at least curious with podcasts. Consumer listening habits have shown that, from a sample group, podcast consumption may represent only about 1.7% of all audio consumption. But Edison Research studied this a lot more and discovered that it's actually 5% of people who regularly consume podcasts. And of that 5%, podcast consumption is about to overtake AM/FM radio. Edison Research also found that podcast-consumers often listen to even more information content on a daily basis than non-podcast-consumers. Watch this 5-minute webinar that explains this in more detail. Coinciding with the launch of iOS 8 and iPhone 6, Apple has raised the cover art specifications for podcasts in iTunes. In short (listen to more about podcast cover art), cover art must now be a minimum of 1,400 × 1,400 and a maximum of 2,048 × 2,048. JPEG and PNG are still accepted, but either can only be in the RGB color space (which makes sense, because I've seen problems with CMYK and other color spaces). 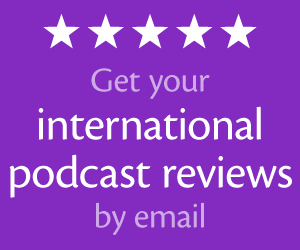 You can now make recurring income from the just-launched My Podcast Reviews affiliate program. This allows you to generate your own affiliate URL (or use the provided banners) and refer people to a free or premium subscription plan. You can earn up to 20% of your referrals' regular subscription fees. I can't mention My Podcast Reviews without also teasing that Stitcher integration is launching this week! September 30 is now the annual International Podcast Day! The first day was a huge success with many podcasters and listeners doing awesome things to celebrate podcasting. This first event was called “National Podcast Day,” but the organizers (I'm one of them) decided that it will now be known as International Podcast Day. Future events will include the global audience much more. Nicely timed for International Podcast Day, Audacity released version 2.0.6. This contains several small tweaks and bug fixes. If you like customizing your own keyboard shortcuts, 2.0.6 will be a godsend for you, as that interface is now easier and searchable. Big congratulations to Dave Jackson from School of Podcasting for being hired as the new director of podcasting for New Media Expo! I think Dave is the perfect guy for this role. He knows the podcasting space really well (he's among the original podcasters), has great authority in the space, and he'll do a great job of ensuring a balanced and thorough mix of content for podcasters at NMX. Send your questions for me to ask John Lee Dumas from Entrepreneur on Fire in my upcoming 200th episode! Why would you say that (an I quote) “Coinciding with the launch of iOS 8 and iPhone 6, Apple has raised the cover art specifications for podcasts in iTunes.”? I’ve read through the entire document. The minimum remains (as it’s been for more than a year) 1400×1400. The maximum remains (as it’s been for more than 4 months) 2048×2048. In fact, Apple’s guidelines where last updated on 15 Jun 2014. Absolutely nothing has changed in their guidelines with regards to the iOS8 launch. I know some website announced that due to iPhone6 and the new iPad the minimum will be raised to 2048×2048, and probably that will happen some day, but right now – I can’t find a single things that has changed in Apple’s directions for podcasters – not in the link you posted above, and not anywhere else. Actually, 1,400 × 1,400 was the recommended minimum to be featured. The required minimum was 600 × 600. But with this latest update, Apple increased the required minimum to 1,400 × 1,400 and added the maximum of 2,048 × 2,048. These things were like that before this latest update. I don’t think they’ll raise the minimum as 1,400 × 1,400 is close to the size of CD covers, which makes a nice standard. Daniel, I appreciate you and have absolutely nothing but huge respect to your knowledge and expertise – but please allow me to respectfully disagree here. Bottom line – 1400×1400 has been required minimum, not recommended minimum, for over a year. It’s nothing to do with iOS 8 (or even 7, for that matter). That’s their requirement to be featured, but not the requirement for being in the store. In other sections of the spec, it communicated a minimum of 600 × 600. Ever Apple introduced 1,400 × 1,400, it was only a requirement to be featured. Now, 1,400 × 1,400 is a requirement for being in the store. I don’t think I said this update is because of iOS 8, only that it was alongside—at about the same time. I think the most important lesson from all this is that Apple changes it’s mind, A LOT, and so podcasters should make sure they receive all relevant source files when they get someone to design their artwork… because there will come a day when those source files will be needed! Do you have any tool to do that automatically, instead of manually? I wish they had an RSS feed that I could connect to IFTTT, but since there is none, I’d love to know if you have something else that you are using? I’ll probably use http://page2rss.com/ or find something newer. Whoa, GREAT resource! 🙂 Never seen it before. Thanks! Here are the exact quotations compared with Archive.org snapshots, looking at just the first “How to Submit a Podcast” section. > 3. Create your cover art. Cover art must be a 1400 x 1400-pixel JPEG or PNG file in the RGB color space. Meaning, for the better part of 2014, 1400×1400 was indeed the minimum requirement in order to submit, and NOT just to be featured. Then, as indeed you’ve mentioned, on July 2nd, this suddenly changed to support 600 x 600 again. (Which I personally find amazing, considering the fact that the number ‘600’ has been absent from all guidelines for almost 25 months by this stage). It then stayed this way until Sep. 24th. Nonetheless, I do stand corrected that for a small period of time, the 600 x 600 was indeed back in the book. My apologies.